1) Please tell us all about your new book and how it came into being. 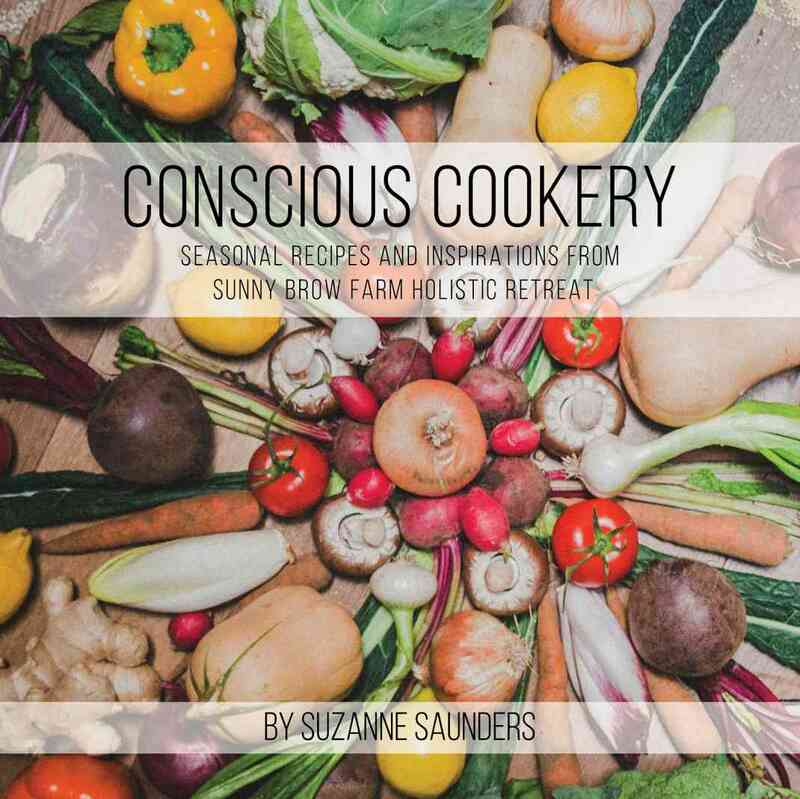 Conscious Cookery is my first cook book; it is a fusion of my journey into healthy eating, nutritional awareness of our bodies needs, wild foods and home grown harvests, Macrobiotics and the five elements, and a connection to the cycle of the seasons. 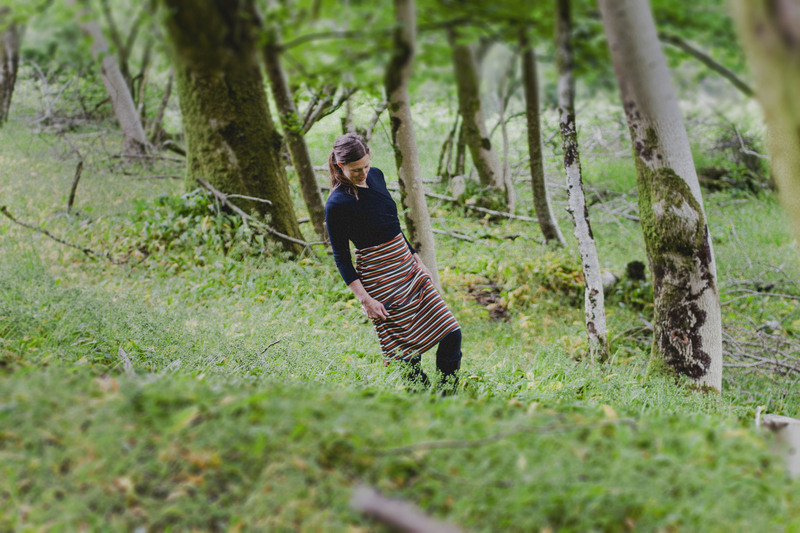 The journey of the cookbook began when I moved to Sunny Brow Farm, and stepped closer to nature, each year I have felt myself deepening into the energies in and around me. I was already trained in Macrobiotics, and enjoyed working with the elements and philosophy. Living closer to nature I could really feel a deeper connection in a practical way, a connection to the elements, to the cycle of the seasons, and the ingredients that nature provides. I wanted to share this with the world where natural food and looking after health with nutrition and cooking is sometimes less of a priority . The book is written in seasonal sections and all recipes were cooked and photographed in the right season to fully bring in the energy of each time of year. Every recipe has a photograph. The recipes created in each seasonal section are connected to what is available at that time of year, and are also based on the energies that can give us an underlying support at each time of year. As I delved into each season to write and cook for the book the magic began to flow more and more. Having Triin and Kerttu with me for photography and design was also a real gift, that excelled the book to what is now. 2) Where and when did you first hear about Macrobiotics? I first heard about Macrobiotics in my early 20’s and dabbled a little during this time. My first macro book that is very tattered now was ‘the self healing cook book’ by Kristina Turner.. . Then in my early 30’s I decided to train in holistic cooking, and found the International School of Macrobiotics. After my first introduction course with Oliver Cowmeadow and picking up the book Hip Chick’s guide to Macro I was hooked. 3) Where did you study and train in Macrobiotics? I trained for 3 ½ years with the International Macro School. I decided to do the first year training, and as I progressed and saw how it linked to life and people so well and I got more and more enthused by the philosophy. I continued to complete the full 3.5 years training with them, and became a fully qualified healing cook and Macrobiotic councellor. 4) Why did you decide to start your center in the Lake District? 10 years ago I had a vision of a place close to, and inspired by nature, that would be an ‘organic spa’ . An environment close to Mother Earth, as natural as possible, with facilities to nourish and nurture in an holistic and organic way. Somewhere for yoga, massage, healing and whole foods. Cumbria had always a been a spiritual home for myself and my partner Phil, as we spent many holidays here together and thought how wonderful it would be to create the retreat centre in the area. I had imagined that my vision was something to aim for, for many years in the future. But life works in magical & mysterious ways, and our life took a turn to mean that only two years later we were standing in Cumbria holding the keys to Sunny Brow Farm. It has taken a few years to renovate and establish but we are now open as Sunny Brow Holistic Retreat. 5) What do you do at Sunny brow Farm and what response do you get from your visitors? I believe in traveling our own healing journeys towards more balance and personal empowerment. From this belief I have developed our brochure at Sunny brow full of holistic therapies, yoga and healing foods, a variety of retreat packages and organised events, and an option to create individual tailor-made retreats. We offer cooking classes, holistic therapies, deeper spiritual retreats, soul healing and ceremony and ritual, and many other holistic things. We are building a good business, and people embrace and love the deep healing experience on the many levels of mind body and soul . The food gives a wonderful backbone to the whole centre, and we use the energy of the food, and the Macrobiotic principles to support the varying retreats. 6) How has Macrobiotics changed your life? Macrobiotics ,and the course with the team at the International macro school, changed my perspective on life and allowed for not only physical but also emotional healing. Macrobiotics is an amazing tool of self healing and development, a way of bringing balance in what ever way is needed. I have more energy, less physical and emotional imbalance, and a better flow in who I want to be and how I want to live my life. 7) How do you explain Macrobiotics to someone who has never heard of it? On the surface it is a great vegan and plant based diet; and a way of eating with whole grains, pulses and lentils, vegetables, sea vegetables fresh and dried fruit, seeds, nuts, wild foods and fermented foods. At its heart it is a way of understanding Mother Earth and her Elements and bringing about a healing for your mind and body. Macrobiotics is a mapping of the cycle and energies of life and if we follow it, with each day and each season we can use this wisdom to come more into balance. As the cycle changes Macrobiotics helps our awareness, and bodies, by the foods we eat and the cooking methods we choose. When we eat something we are taking its energy into our bodies, it will have a nutritional, but also energetic impact. To build an understanding, and work with this can help to bring us back into balance, flow with greater ease in our individual lives, and give us strength and vitality to be who we truly are.